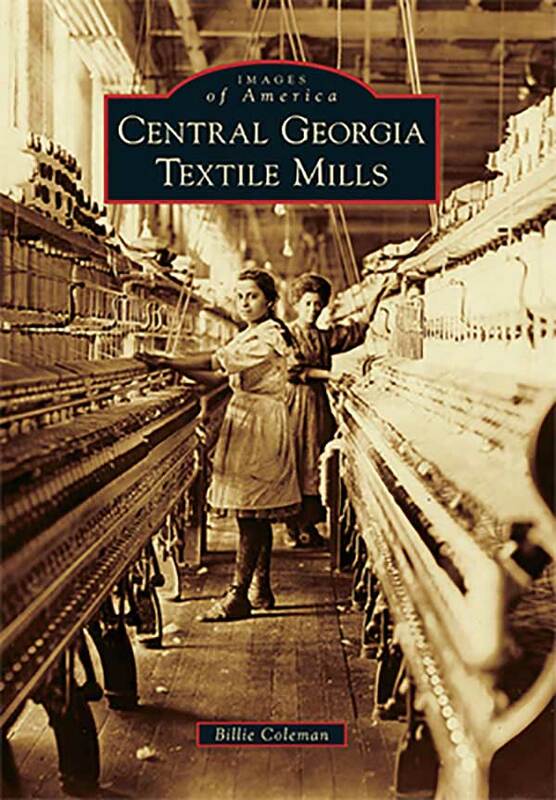 Billie Coleman, a History degree graduate of Middle Georgia State University, will discuss her new pictorial book, Central Georgia Textile Mills, at 5 p.m. Monday, April 10, in room 212 of the Charles H. Jones Building, Macon Campus. The book is part of the Images of America series published by Arcadia. This event is free and open to the public. Light refreshments will be served. For more information, contact Dr. Matt Jennings at matt.jennings@mga.edu. Cotton was once king throughout Georgia. Reconstruction investors and railroad tycoons saw this potential to open textile mills in the South instead of sending cotton up North. Towns across Central Georgia became a prime spot to locate textile mills because of the access to cotton from local farms, cheap labor, and nearby rivers to power the mills. Textile mills were operated in cities and towns across Central Georgia such as Macon, Columbus, Augusta, Tifton, Forsyth, Porterdale, and Hawkinsville, among others. The textile mills provided employment and sometimes a home in their villages to people across Georgia as the agrarian lifestyle gave way to industrial expansion. In these mills, photographer Lewis Hine captured iconic images of child labor. After the decline of production and closing of the mills, many have been revived into new usages that honor the legacy of the mill workers and their families who lived in the villages of the textile mills across Central Georgia.